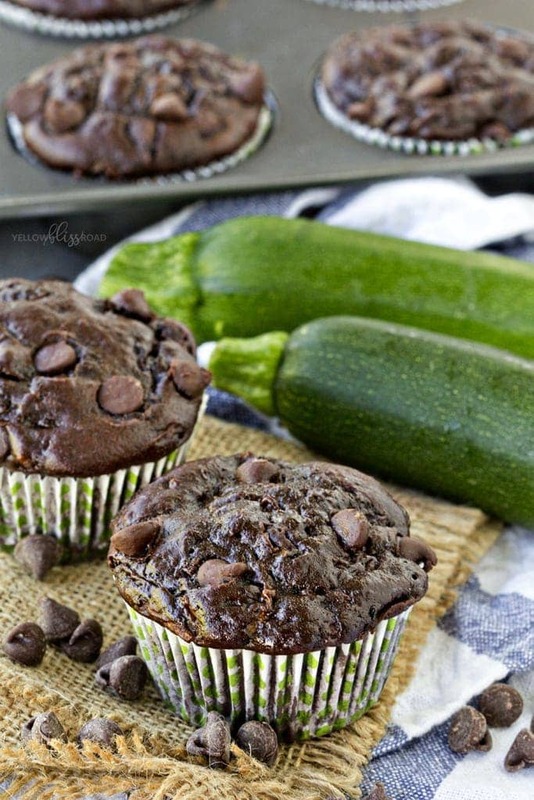 Double Chocolate Zucchini Muffins skimp on calories, not on flavor! They are tender and oh so incredibly (dare I say it?) moist. All the chocolate flavor you crave, with less fat and calories since they are made with applesauce and Greek yogurt instead of butter or oil. I was having a serious chocolate craving the other night, but being that it was 8:00 I knew I would need to satisfy that craving with something that was a little lighter on calories. 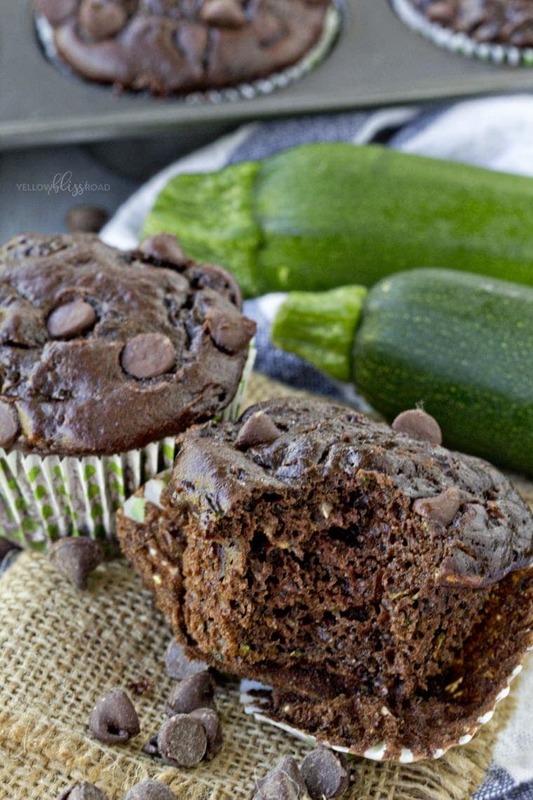 I had a bunch of zucchini in my fridge from a grocery store sale last week, and I’d been dying to try this double chocolate zucchini bread recipe. I decided to try making them as muffins instead, and I changed up the recipe a little bit, to make them a tad lighter. 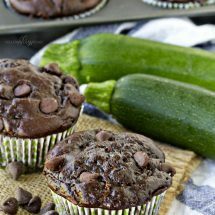 The best part about these Double Chocolate Zucchini Muffins is that they are low in fat and calories, and they have tons of zucchini. 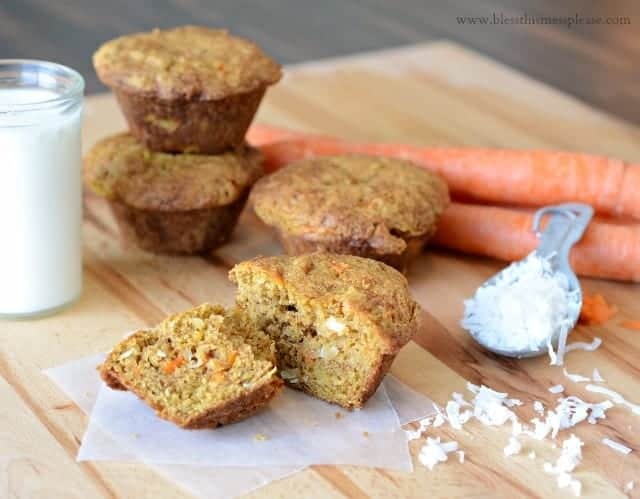 I’d say that qualifies them as a healthy and delicious breakfast…or maybe dinner? Whatever you decide, I promise they are absolutely delicious! Preheat oven to 375 degrees. 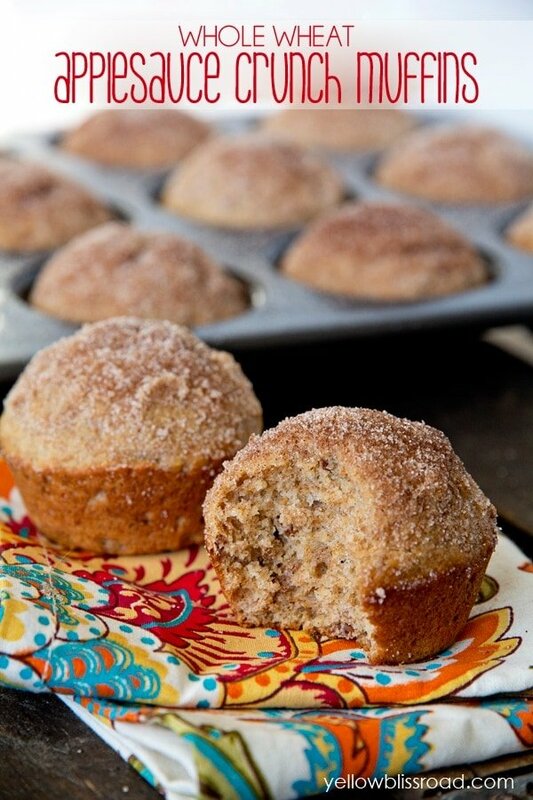 Place paper muffin cups in a 12-cup muffin pan. In a medium sized bowl, stir together applesauce, Greek yogurt, eggs and vanilla until well combined and smooth. In a separate larger mixing bowl, whisk together flour, sugar, salt, baking powder, baking soda and cocoa. Pour the yogurt mixture into the dry mixture and stir together until combined. 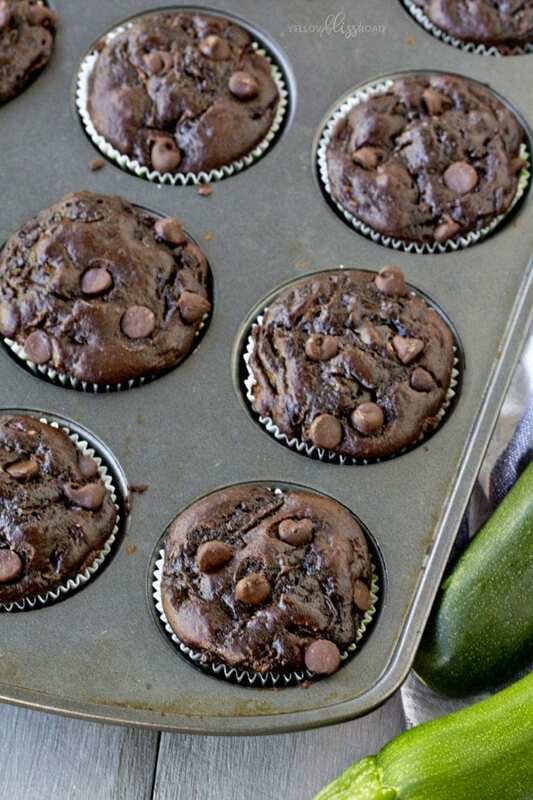 Stir in zucchini, then fold in chocolate chips. Divide batter into prepared muffins cups. Dot each cup with a few chocolate chips, if desired. 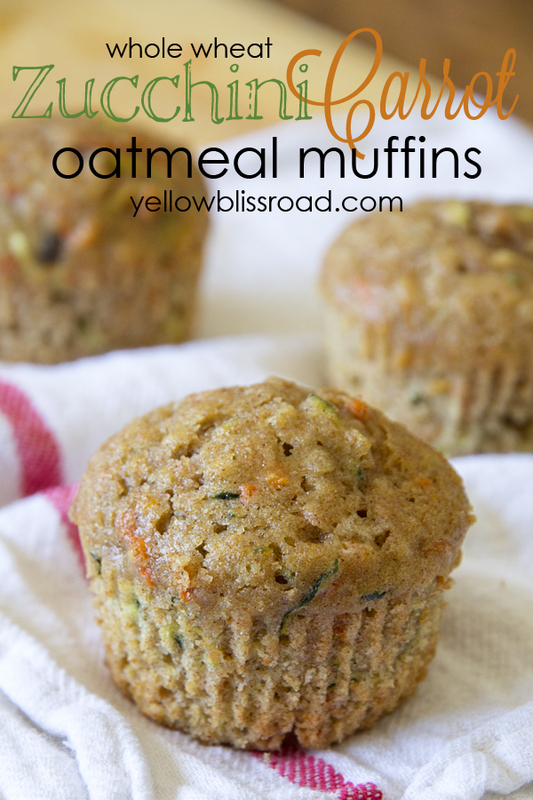 Bake at 375 degrees for about 22 minutes, or until a toothpick inserted into the middle of a muffin comes out clean. Cool in the pan for about 10 minutes before transferring muffins to a wire rack to cool completely. For all breakfast recipes go HERE and for all recipes go HERE. Do you use sweetened or unsweetened applesauce? I always use unsweetened, but you could use either. Hi! Can I use whole wheat flour or coconut or almond flour?? I haven’t tried either, but I’m sure you could. I have plain vanilla yogurt on hand. Would that be fine to use instead of the Greek yogurt? Yes you could use that instead. However I would cut the sugar back just a tad, maybe by 1/4 cup. just one question, why do you think they stuck so bad to the muffin cups? could i have over mixed? did that happen to you? Charlee I had the same problem with the sticking!! Made them once and they were perfect. Made two other batches with everything the same except the muffin papers, and they stuck horribly. If you find the problem I’d love to know. Thanks!! My preference is yes, but you don’t have to. 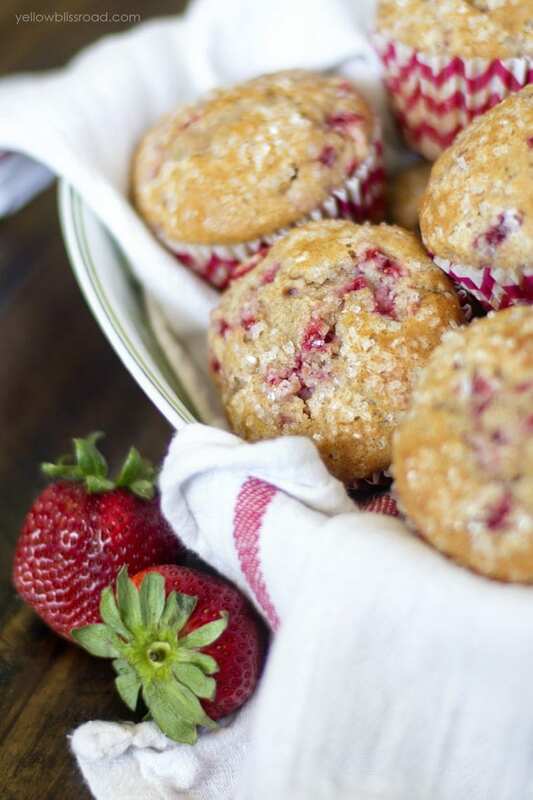 I was wondering what the best way to store these muffins is? Store them in a tightly sealed container. I’d keep them in the fridge, too. Just wanted to ask how much baking soda to put in the recipe? Its in the body of recipe but not the ingredients list. Let me know, thanks! I always use plain Greek yogurt in recipes.